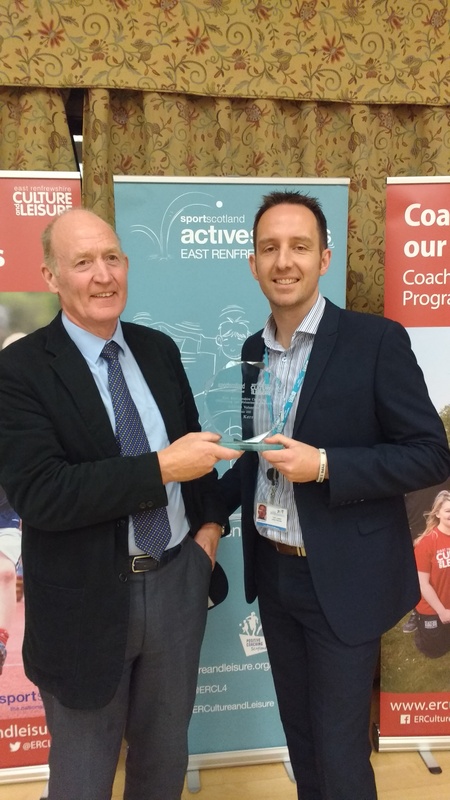 Club Treasurer Jim Kerr gets a Lifetime Volunteer Award from East Renfrewshire Sports & Leisure / sportscotland. Giffnock Tennis Squash and Hockey Club is delighted to announce that our longstanding (some may say long suffering) treasurer Jim Kerr has received a ‘Lifetime Volunteer’ award from East Renfrewshire Sports & Leisure / sportscotland. The awards ceremony took place recently at Carmichael Hall and made around 20 awards in the areas of ‘Coaching, Officiating & Volunteers’. 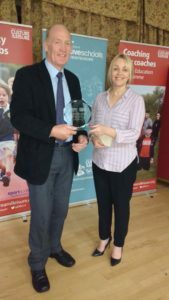 Jim’s award was in recognition of his outstanding and ongoing commitment to Giffnock Tennis Squash and Hockey Club where he has been treasurer for over 20 years. 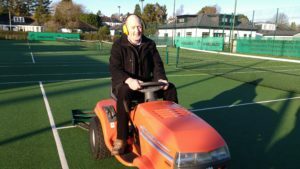 Jim has been a consistent factor in ensuring the club continues to be an essential sporting and social hub across the local community. Jim was previously recognised by the club when he was given Life Membership of the club 5 years ago. Jim is pictured receiving his award from Jane Leavey, the sportscotland partnership manager. Jim is also pictured (below) with Barry Cook whose role until recently was as the East Renfrewshire Active Schools Coordinator. Active Schools has been working closely with the club over many years in the provision of coaching to school children in the local area. As well as his financial role, Jim is a true sports fanatic and likes to be busy, very busy. 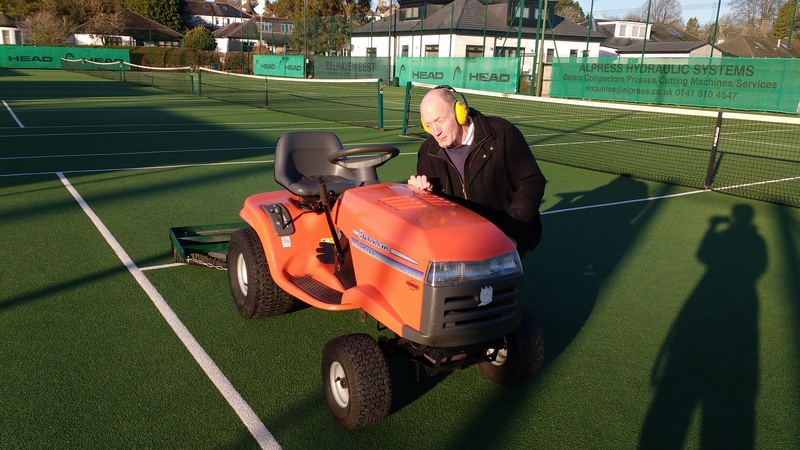 In between playing football, golf, squash and tennis (sometimes in a single day), Jim also manages the club’s court bookings system. And once every week Jim can be seen brushing the tennis courts with the club tractor, helping to keep the tennis courts in prime condition. There is a wee rumour that Jim talks to the tractor when no-one is watching.